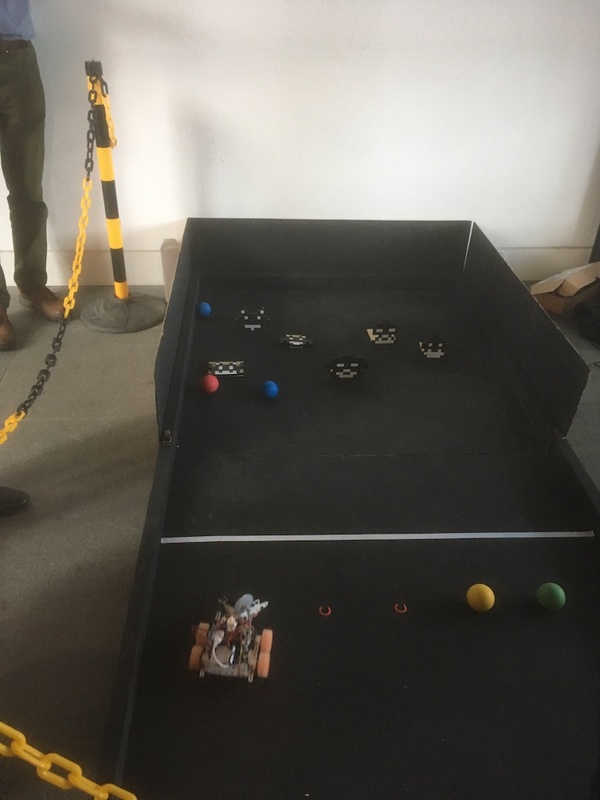 One of our younger members James competed in PI-Wars 2019 at Cambridge at the weekend. 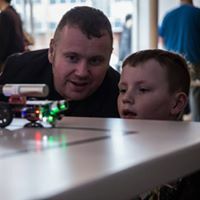 He was placed 10 out of 15 in his class which is a fantastic result as he never competed in any of the autonomous challenges. 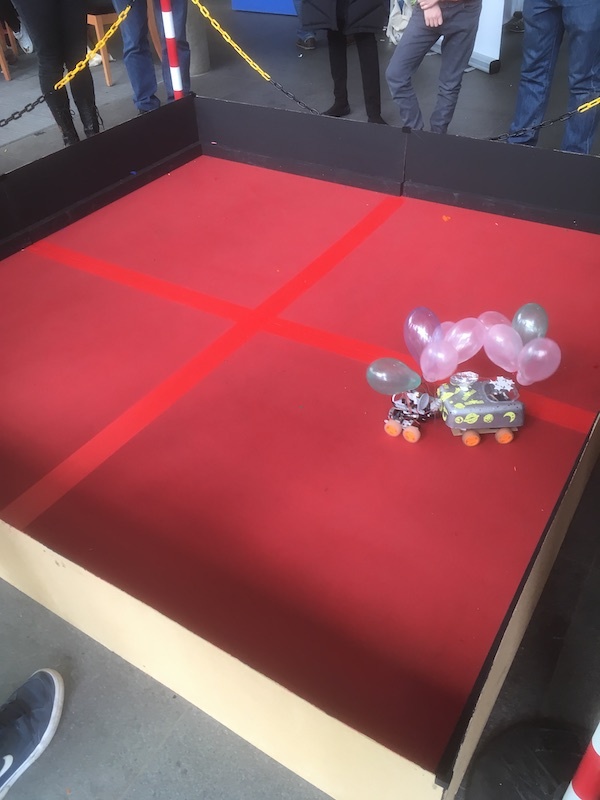 He managed to get through to the quarter-finals of PI-Noon where you have to burst balloons on your competitors robot. 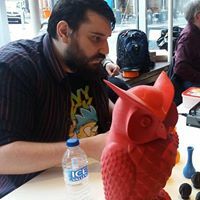 The Hackspace attended creat-a-con at the LBC on Saturday March 9th. It was another great success. Once the doors opened we had a steady flow of visitors. So many in fact we did not have time to take any pictures, we are waiting for the offical ones. 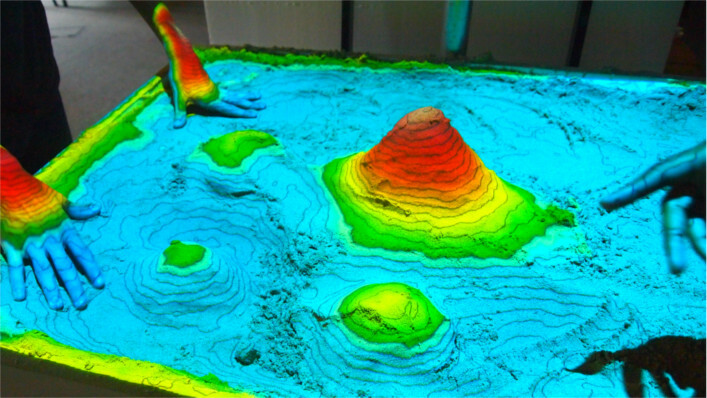 The 3D printers and sandbox were a great success, with lots of visitors asking about the PI's and high energy display. We had 21 tickets taken up out of 40 for the event with 17 attendees plus members. 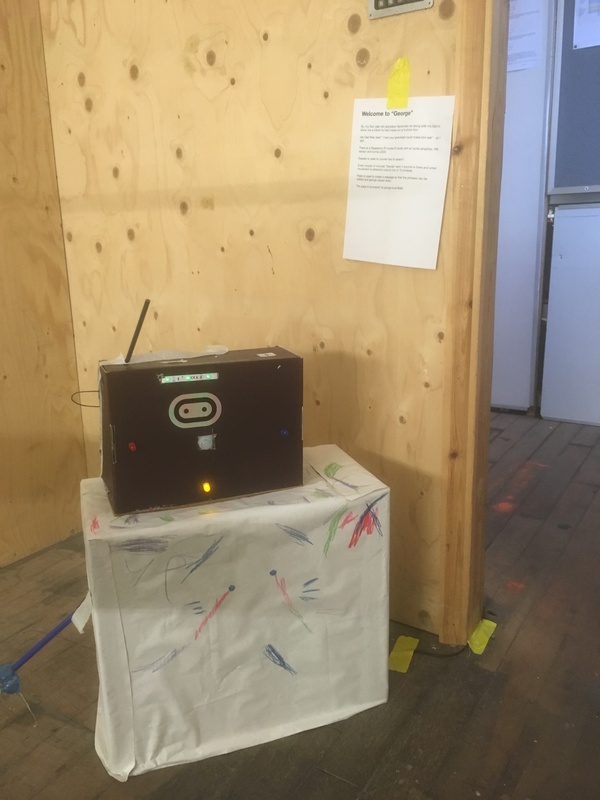 There was a workshop area with 8 PI's where attendess could use Scratch or Python to control some traffic lih=ght LEDS provided by the foundation. 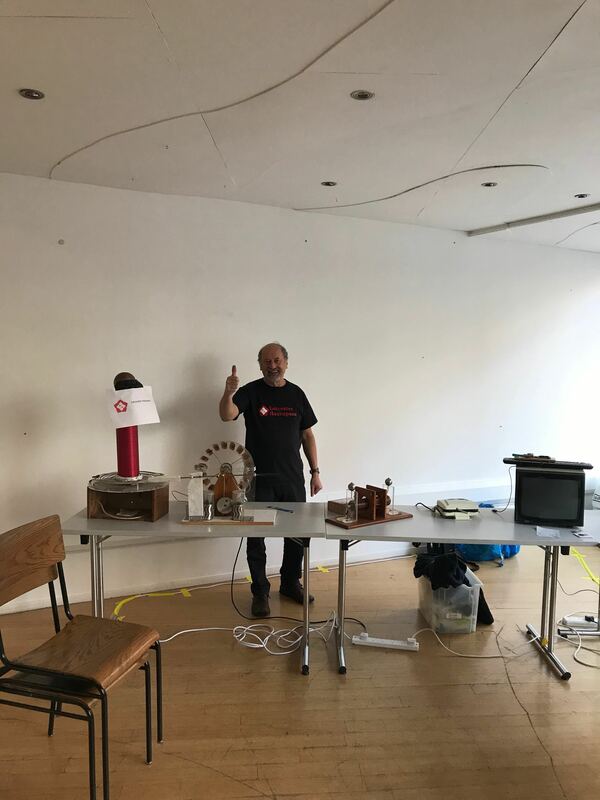 Russ brought along his collections of PI's with a robot arm , Steve brought along some of his robots. In the PI noon arena James PI Wars entry had several hours of testing. Our doorman George did a great job welcoming people. 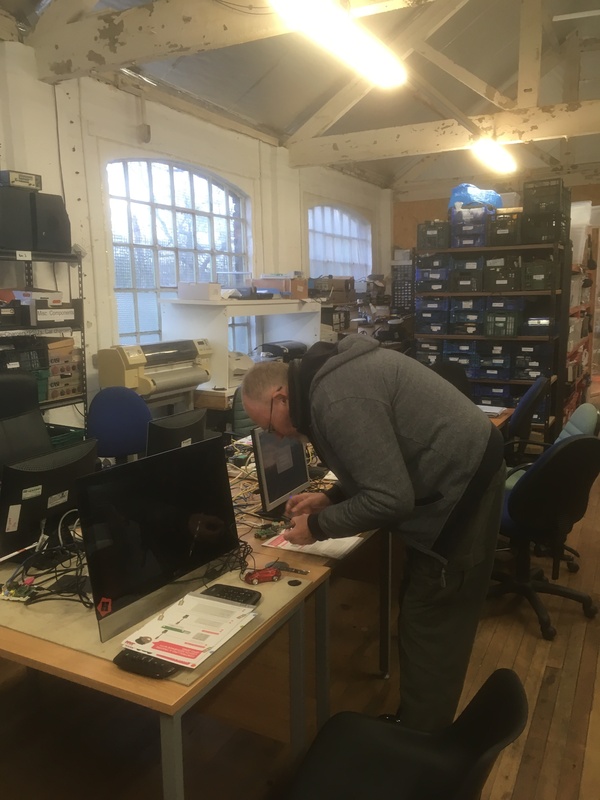 The Hackspace is hosting a Raspberry PI Birthday Jam on Saturday March 2nd. 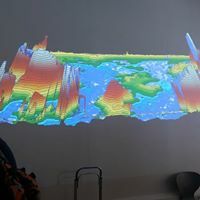 Tickets for non-members are available free of charge from www.eventbrite.com , search for our event on the day and book your ticket. All welcome, if you are under the age of 16 you must come with a responsible adult. Novices and experts welcome. 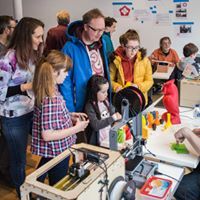 We will have workshops, demonstrations and if you have got a PI and want some help, come along. 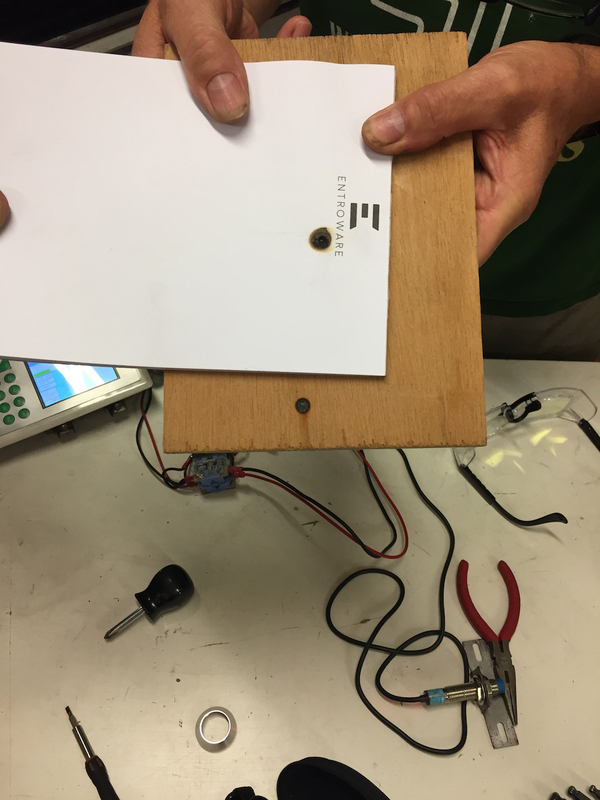 There has been some excellent work carried out by several members, resulting in a test firing of the laser. Hopefully it won't be too long before it is available to members to use, after a suitable induction of course. Divya organised this years attendance at the Riverside festival. 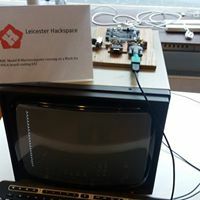 We always attract quite a bit of interest and at our first Openhack night on the Tuesday after the event had a dozen or so members of the public come to have a look at us. Three of which signed up as members. 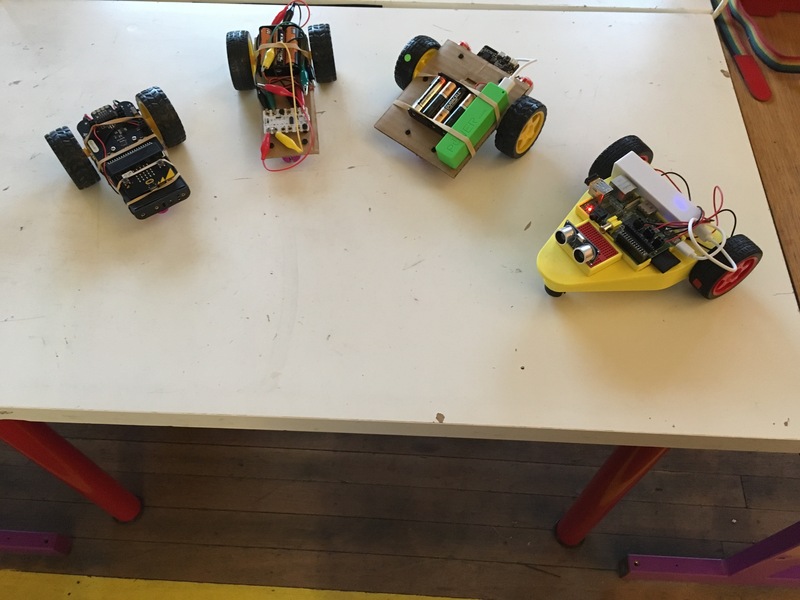 The photograph below shows Bill's rapidly increasing collection of robots for his CodeClub. 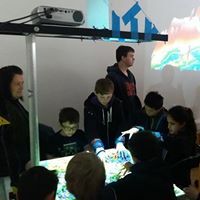 The processors are Raspberry PI's, Micro-Bit's and Crumble's. 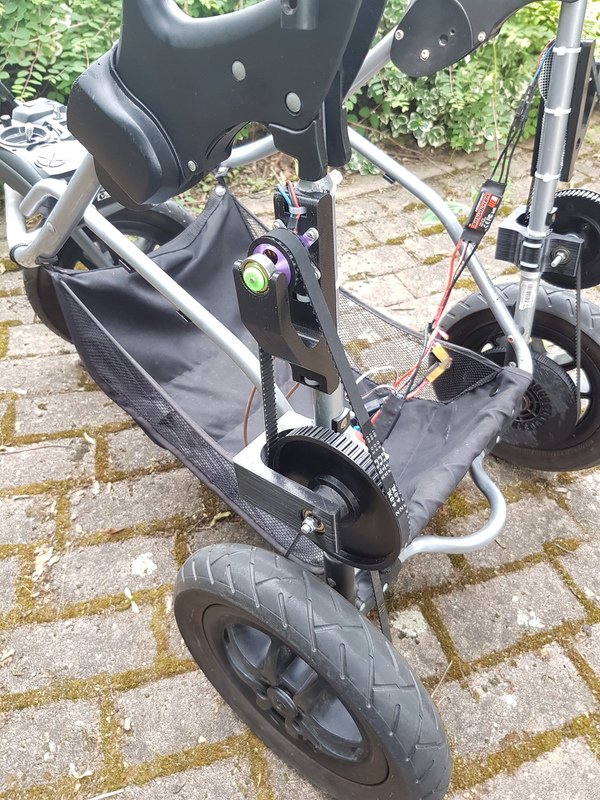 Chassis's are made out of cardboard or 3D printed, with a 3D printed holder for the castor wheel. All connected using crocodile clips. Thursday April 5th saw the first of our Radio Control Jams, happening on the first and third Thursday of the month. 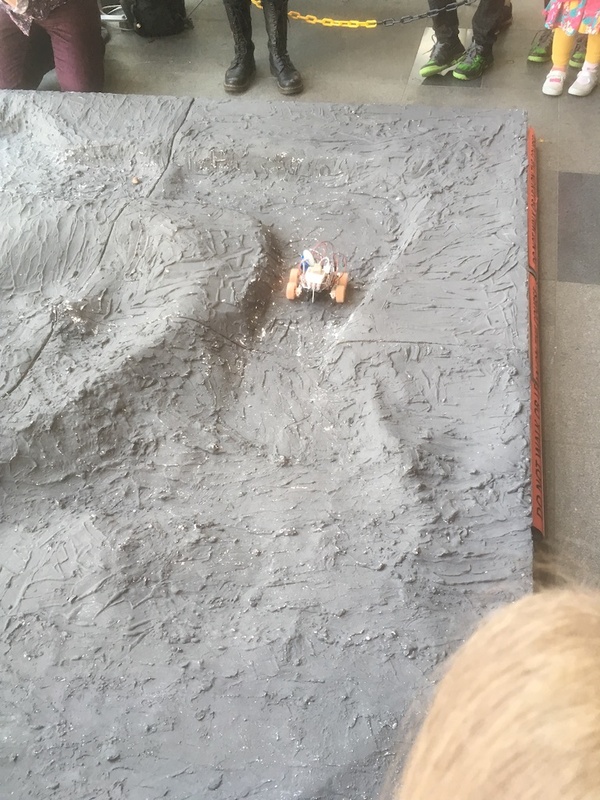 Star model of the evening was Dave's Radio Controlled Buggy. 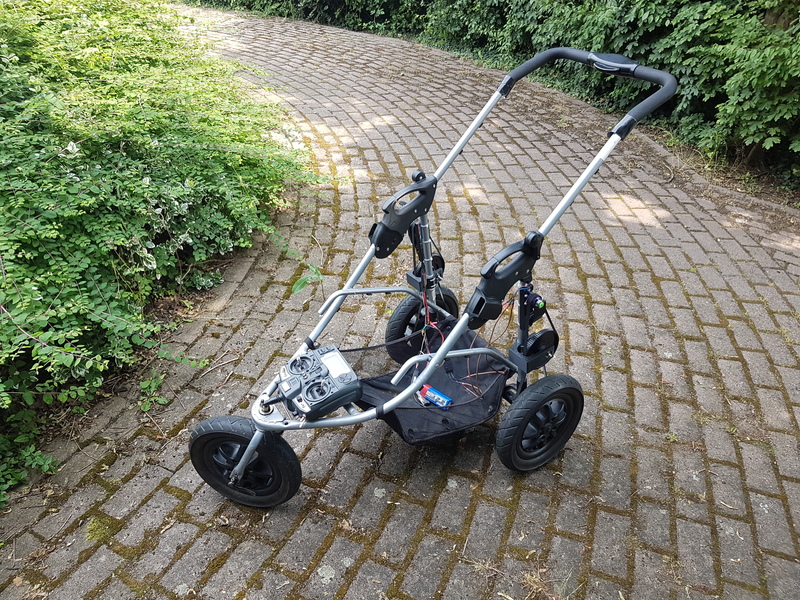 "I took a battered and unwanted 3 wheeled buggy and stripped it down of all unnessesary parts, designed and 3d printed adapters for the wheel hubs to take a standard toothed belt, added a second stage of gearing and used a couple of old quadcopter motors i had kicking around (with ESCs and reciever), the result is somewhat limited having very little torque at low speeds and has no reverse, but its great fun to drive!" 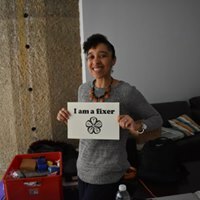 Why not come along to the next jam with your own project. 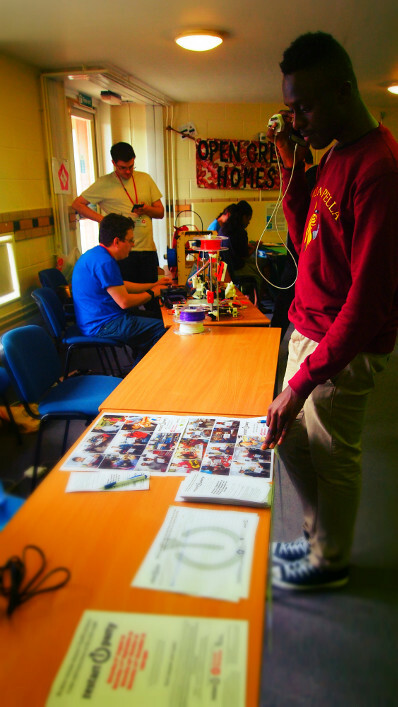 Saturday March 10th saw the Hackspace attend Create-a-con again, this time held for the first time at the LCB depot. 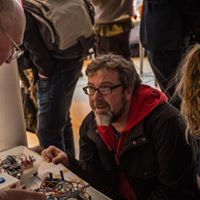 All images are courtesy of Chris Slowe, Chris Leach and SideFest. More can be found on the facebook site at https://www.facebook.com/pg/creatacon/photos/?tab=album&album_id=1471096849684645 . 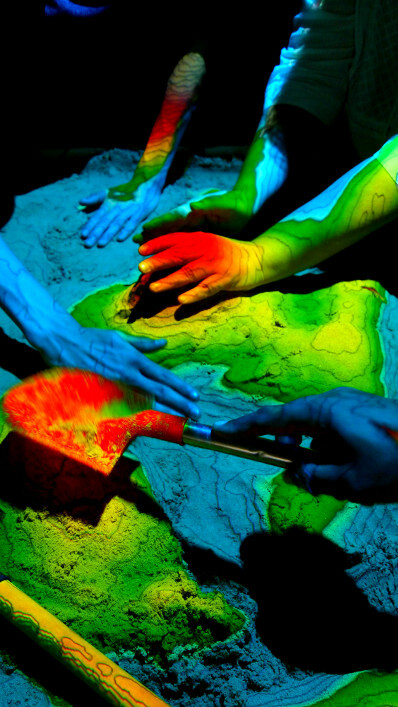 Aaron and Divya brought the sand box which always attracts a large number of visitors. 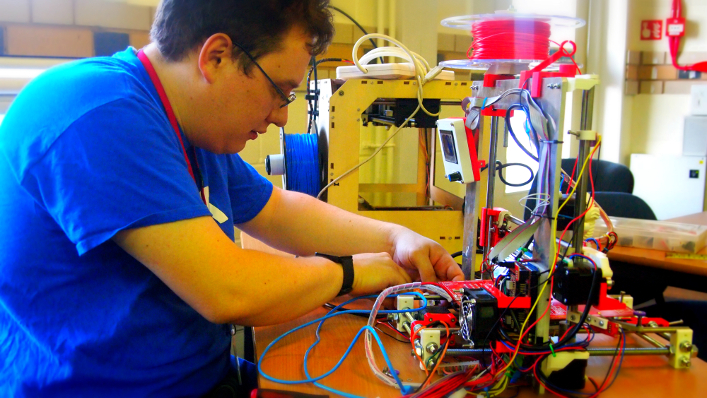 Keith, Aaron and Matt demonstrated several of our 3D printers. 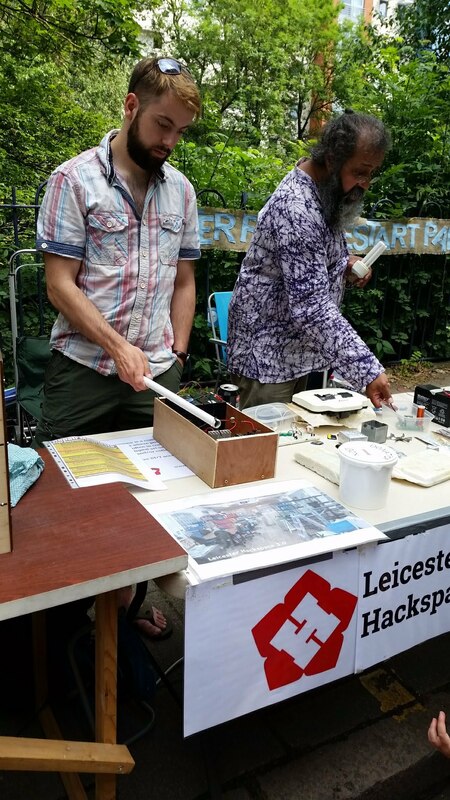 Last but not least Marie and John were there from Leicester Fixers. 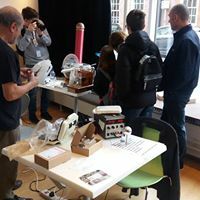 We always have a good attendance at Creat-A-Con from HAckspace members, easily filling a room to ourselves. Hopefully we will also attract some new members. 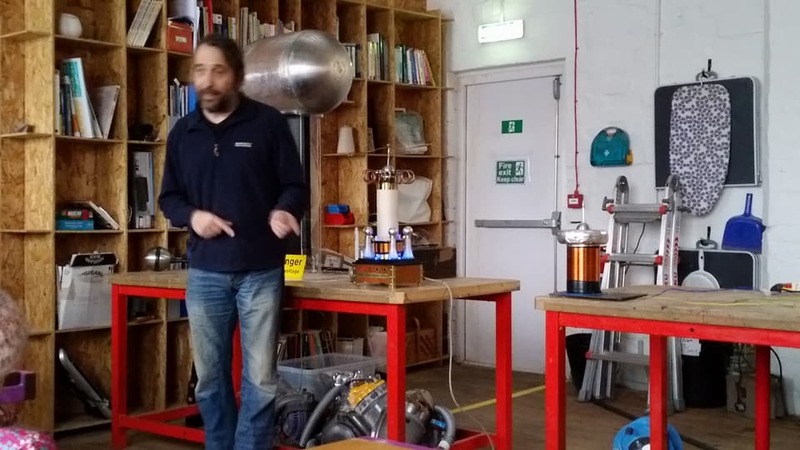 Saturday March 3rd saw our first event at the new hackspace when Derek from Extreme Electronics gave us some great demos of his Tesla coils and Large Van der Graff generator. 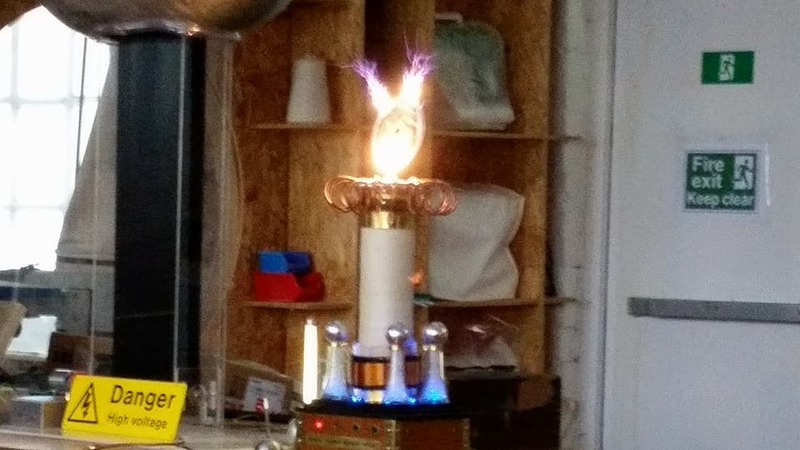 Check out the link to our Facebook page of a great video of the Tesla Coils making music! 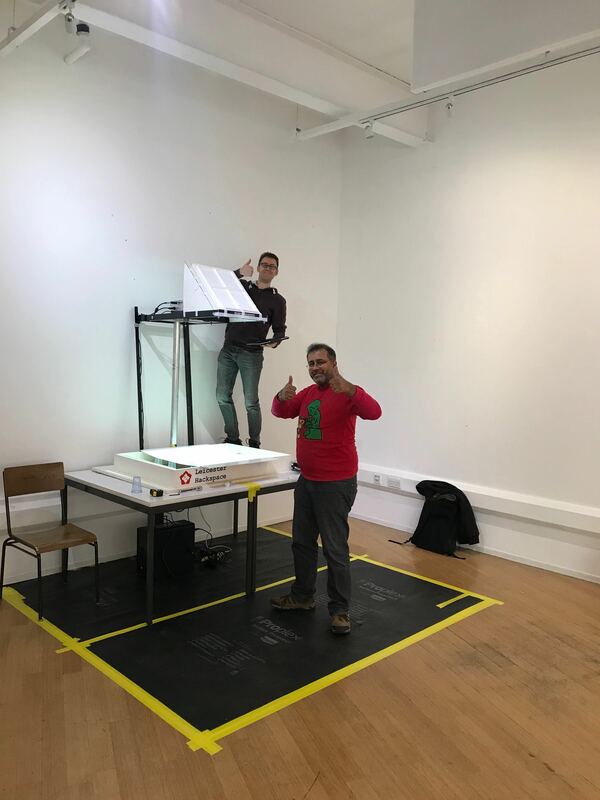 2017 saw our membership expand at the De Montfort University Innovation Centre, so that in November we moved to our new location on the Faircharm Trading Estate. There is an event now on every weekday evening, nominally between 1830 and 2130. 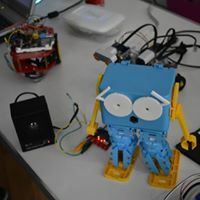 Monday evenings alternate between Crypto Club, Arduino Jam, Robotics - Mechatronic, and Raspberry Pi Jam. Wednesday evenings is a members only hack night. 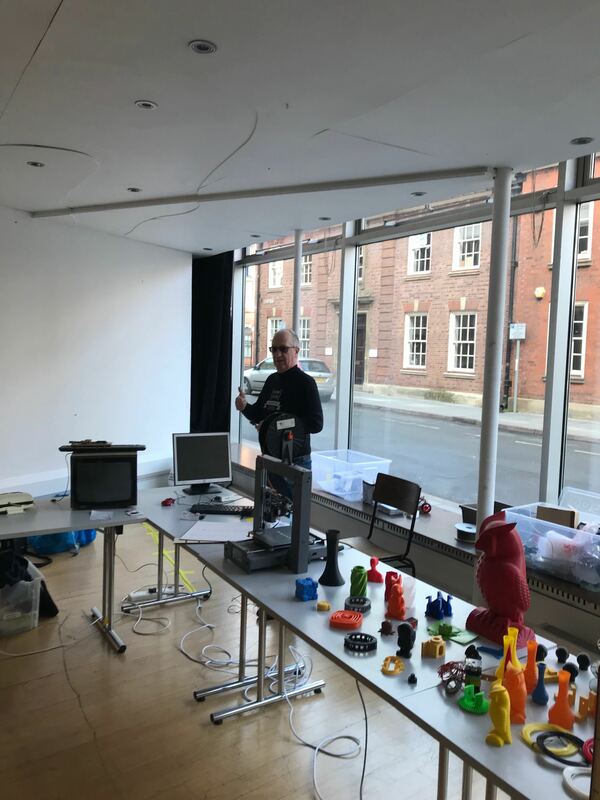 Thursday evenings saw the introduction of a members only 3D printing club and a textiles evening. Friday nights alternate between TableTop Gaming and Role Playing. All details can be found on the Diary page. 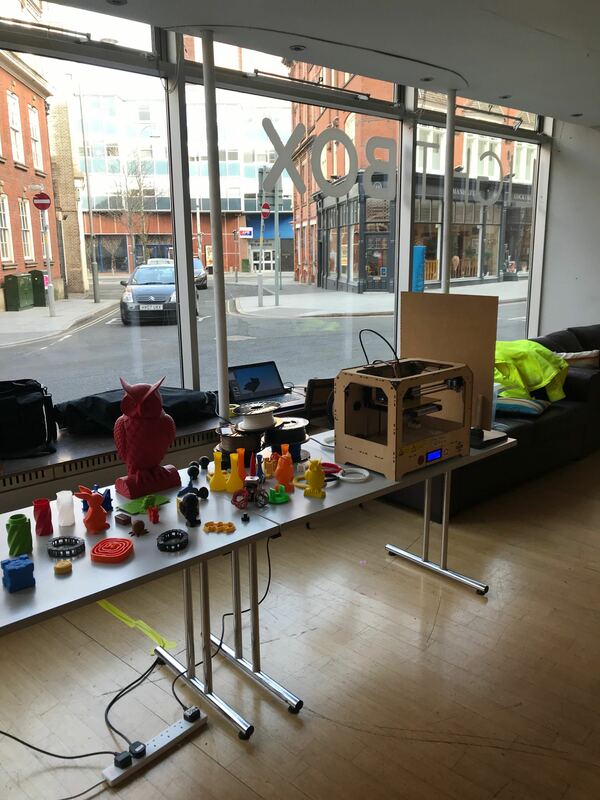 We had a great day exhibiting at Creat-A-Con hosted at De Montfort University by their students. 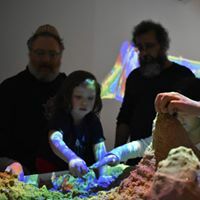 Our augmented reality sandbox was clearly the most successful attraction of the day and thoroughly enjoyed by many adults and kids alike. 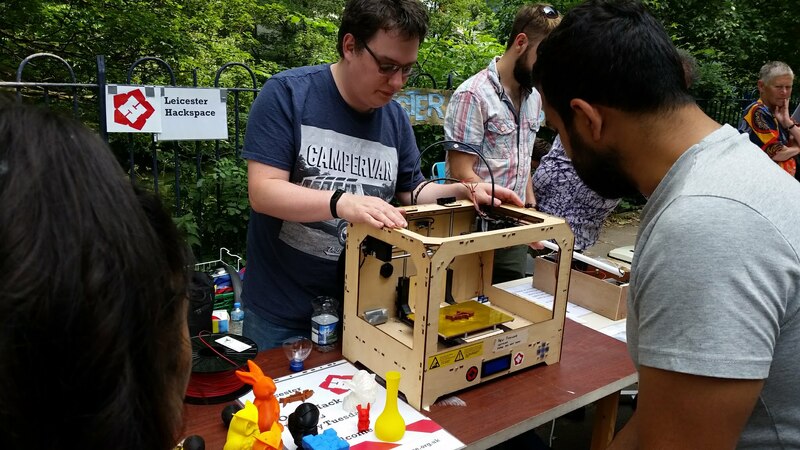 We also had other great stuff to show off: Matt's 3D printer, a whole section dedicated to Steve's Raspberry Pi robotics and scratch activities for kids, 3D projections by Isis and Artur. 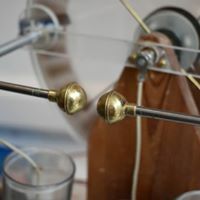 Tony's Wimshurst machine produced some great sparks and was a source of great fascination to visitors who had never had the chance to learn about static electricity at school. Thanks to those who attended and all those who did the hard work to make it a great success.